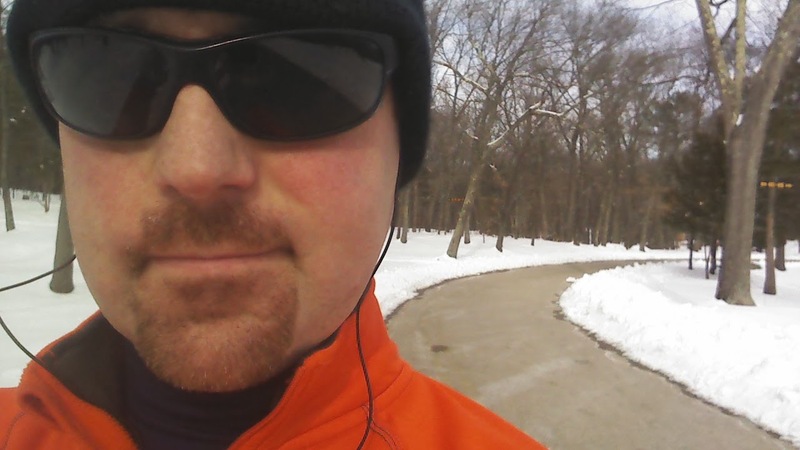 Finaly got outside again, Lincoln Woods is my go-to after snowstorms. 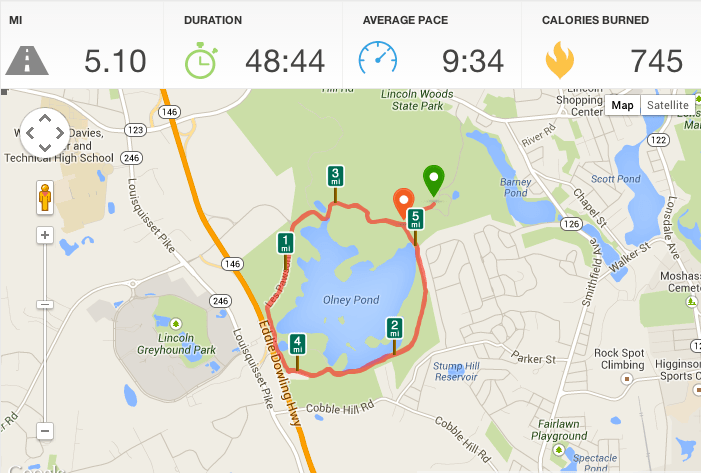 The park has a paved road that wraps around picturesque Onley Pond, two loops is about 5 miles. Today was a great day, temperatures were around 32F, sunny, and I was full of energy. Unfortunately knee pain has been my 2014 struggle, today I made it three miles before the kee really started to bother me. I attribute the pain from overtraining, from ramping up both mileage and speed. Hopefully that’s all. I recently hit a new 5K speed PR and January was a new distance/month PR, 70 miles. Plan right now is to slow things down a bit, squeeze in some additional rest days. Hopefully the knee gets better soon.